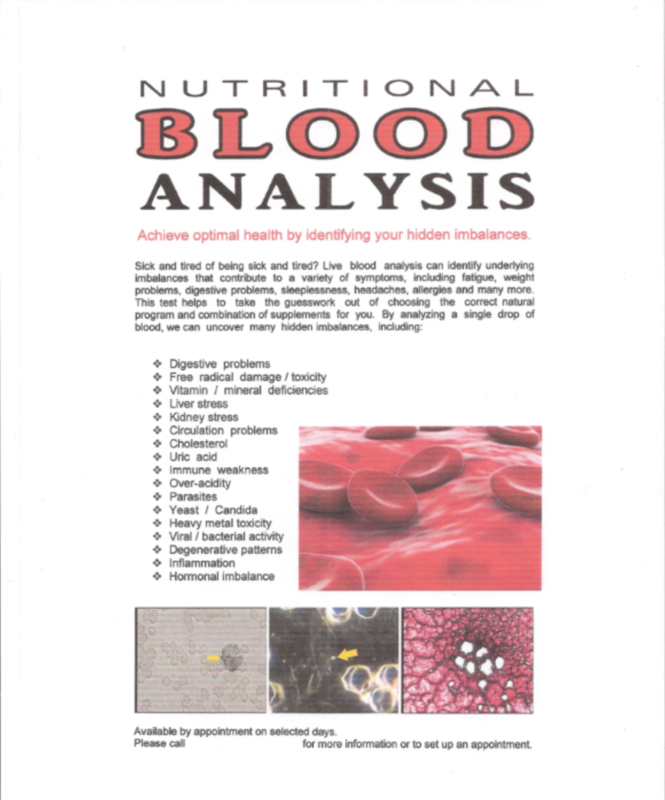 Live Blood Analysis (LBA) is a diagnostic tool used by some SCAM practitioners (e. g. chiropractors, naturopaths, medics). It marks a new era of scientific discovery, at least this is what its proponents claim. LBA sounds impressive, looks impressive, commands impressive revenue – but, once we investigate a little closer, it turns out to be rather unimpressive. The principle of LBA is fairly simple: a drop of blood is taken from your fingertip, put on a glass plate and viewed via a dark field microscope on a video screen. Despite the claims made for it, LBA is by no means new; using his lately developed microscope, Antony van Leeuwenhoek observed in 1686 that living blood cells changed shape during circulation. Ever since, doctors, scientists and others have studied blood samples in this and many other ways. New, however, is what today’s SCAM practitioners claim to be able to do with LBA. Proponents believe that the method provides information about the state of the immune system, possible vitamin deficiencies, amount of toxicity, pH and mineral imbalance, areas of concern and weaknesses, fungus and yeast infections, as well as just about everything else you can imagine. BACKGROUND: Dark field microscopy according to Enderlin claims to be able to detect forthcoming or beginning cancer at an early stage through minute abnormalities in the blood. In Germany and the USA, this method is used by an increasing number of physicians and health practitioners (non-medically qualified complementary practitioners), because this easy test seems to give important information about patients’ health status. OBJECTIVE: Can dark field microscopy reliably detect cancer? MATERIALS AND METHODS: In the course of a prospective study on iridology, blood samples were drawn for dark field microscopy in 110 patients. A health practitioner with several years of training in the field carried out the examination without prior information about the patients. RESULTS: Out of 12 patients with present tumor metastasis as confirmed by radiological methods (CT, MRI or ultra-sound) 3 were correctly identified. Analysis of sensitivity (0.25), specificity (0.64), positive (0.09) and negative (0.85) predictive values revealed unsatisfactory results. CONCLUSION: Dark field micoroscopy does not seem to reliably detect the presence of cancer. Clinical use of the method can therefore not be recommended until future studies are conducted. CONTEXT: In 1925, the German zoologist Günther Enderlein, PhD, published a concept of microbial life cycles. His observations of live blood using darkfield microscopy revealed structures and phenomena that had not yet been described. Although very little research has been conducted to explain the phenomena Dr. Enderlein observed, the diagnostic test is still used in complementary and alternative medicine. OBJECTIVE: To test the interobserver reliability and test-retest reliability of 2 experienced darkfield specialists who had undergone comparable training in Enderlein blood analysis. SETTING: Inpatient clinic for internal medicine and geriatrics. METHODS: Both observers assessed 48 capillary blood samples from 24 patients with diabetes. The observers were mutually blind and assessed their findings according to a specific item randomization list that allowed observers to specify whether Enderlein structures were visible or not. RESULTS: The interobserver reliability for the visibility of various structures was kappa = .35 (95% CI: .27-.43), the test-retest reliability was kappa = .44 (95% CI: .36-.53). CONCLUSIONS: This pilot study indicates that Enderlein darkfield analysis is very difficult to standardize and that the reliability of the diagnostic test is low. So what?, some might think. It might be a SCAM, but it is a harmless one! LBA is likely to produce false-positive and false-negative diagnoses. A false-positive diagnosis is a condition which the patient does not truly have. This means she will receive treatments that are not necessary, potentially harmful and financially wasteful. A false-negative diagnosis would mean that the patient is told she is healthy, while in fact she is not. This can cost valuable time to start an effective therapy and, in extreme cases, it would hasten the death of that patient. The conclusion is thus clear: LBA is an ineffective, potentially dangerous diagnostic method for exploiting gullible consumers. My advice is to avoid practitioners who employ this technique. Despite Errol Denton’s double prosecution for LBA claims, a search reveals numerous practitioners in the UK. Also eBay sells expensive microscopes for it. In October 2015 the ASA ran a sector-wide project to inform practitioners not to make health claims, but it seems to have had little effect. An orthopedic surgeon (Dr. med.) offering OSTEOPATHY in his private practice next to the hospital where I am practising uses dark field blood tests regularly. Other orthopedic physicians who are practising OSTEOPATHY are using IgG 4 tests for allergy tests or are selling back surface topography to ANY new patient (without RX or CT or MRI) to tell the surprised patients the exact form and size and the location of each vertebra charging the price of a MRI for such a single back surface scan. A lot of other physicians (Dres. med.) do so and all have successfully passed their preliminary exam and their professional specialisation ..
Am I correct to perceive such salesmanship as vanity screening? But Doctor, clearly it is the new “quantum” microscopes that makes LBA so useful now days. /snark. It is amazing how fast new idiotic techniques are developed. The list of thing LBA can be used to treat reminds me of book about the old medicine shows entitiled “One for Man, Two for Horse”. Anthony Warner (aka the Angry Chef) in his book The Angry Chef: Bad Science and the Truth About Healthy EatingThe Angry Chef: Bad Science and the Truth About Healthy Eating invents a died based on the brain mass of the animals you eat. IIRC, I think this means you should not eat whales. As he points out the diet totally nonsensical but no more nonsensical than most other extreme diets. It is very simple, really: If live blood analysis worked as advertised, then why do we still have diagnostic laboratories? ‘they’ would certainly claim that it is because THE MEDICAL MAFIA WANTS TO MAKE PROFITS! Opinions regarding ‘diagnosis’ or ‘early detection’ of specific diseases using LBA often miss the point. Firstly, a competent technician is showing highly magnified images of the subjects blood cells – including immune cells – as they are at that moment in time. This is not trickery, it is reality! I was totally ignorant of my immune system until I met a LBA practitioner 20 years ago. I could see with my own eyes something they call ‘debris’ floating around in my plasma – which consisted of undigested proteins and other ‘contaminants’ that had passed through the intestinal wall and triggered an immune response. The white ‘killer cells’ – much bigger than my blood cells – were moving around, consuming these foreign objects as I watched. This was real – not fake. It was a wake up call for me. I realised that my junk food diet combined with poor digestion I had been suffering with for years – probably IBS – needed to be sorted. The technician DID NOT claim I was suffering – or might suffer – from any specific illness. He did NOT prescribe any pill, potion or supplement. I gladly paid a modest fee for the test and then went away and conducted my research on the importance of good food and a healthy gut. Since then through personal recommendation I’ve been help others around the world to take more interest in their diet and lifestyle choices through my not for profit web sites. I DO NOT PRESCRIBE ANYTHING to anyone. I have been a health professional for 20 years now and never received one negative comment from medical doctors I work with OR private clients that say they feel better since meeting me. I am NOT a LBM practitioner if readers think I am biased! you have fallen completely for the nonsense this charlatan told you. You obviously didn’t understand my account you idiot! I didn’t “fall” for anything! I saw my OWN BLOOD highly magnified – what is it you object to about that? Your silly and very ignorant remark reflects everything that is wrong with people who are without many brain cells. Read again the context of my remarks. I would not have changed my very poor diet and lifestyle if I had not been alerted to what was going on inside of me. Repeat you moron: Nothing was prescribed to me. No diagnosis of ANY disease was made by the technician. You have no idea what you are talking about and I’m shocked there are individuals around like you. Move on and get educated in human physiology. Yes I checked out your ‘credentials’ before making comments about you. If you had any sense you would use an alias on Public forums. ‘Michael Grant’ is not my real name as I wish to protect my clients and prevent unannounced visits from retards. I own and manage a number of holistic clinics in the UK and Europe. I even have more qualifications than you, but I don’t boast about them. Although you claim to have some medical qualifications it is well known that over the years many highly qualified health practitioners have murdered, abused and otherwise treated their patients with contempt. Medical Doctors in the USA and other countries illegally conspired with GlaxoSmithKline a few years ago if you remember. GSK pleaded guilty to criminal behaviour before it went to court (off-label selling by their reps) and were fined over $3 billion which is pocket money to them. None of the highly qualified Doctors or GSK employees were locked up as they should have been. You may have some qualifications, but your attitude and need to dismiss my LBM test as you did without knowing me or the technician I met that day says everything – you are a very sad human being. May God protect the Public from people like you. did you know that the UK is, in every sense, part of Europe? me neither, I merely tell people my background; please tell us what qualifications you have. personally, I think you should get professional help against whatever mental condition it is that you seem to be suffering from. Although you claim to have some medical qualifications it is well known that over the years many highly qualified health practitioners have murdered, abused and otherwise treated their patients with contempt. Are you trying to imply Prof Ernst is a murderer or an accomplice or did you just throw in that non sequitur as part of a general smear and insult and to demonstrate your complete inability to provide a cogent and relevant argument? Are you sure that the debris which they showed you came from your blood? That it couldn’t have been dirt or other contaminants from the slide that the blood was displayed on? Dr Julian, with respect I assume you have not had first-hand experience with using a darkfield microscope? Over the years I have met a minority of MD’s/GP’s etc who are deliberately attempting to discredit Live Blood Microscopy for their own reasons. That’s fine – every human on the Planet is biased and that is no different in the medical professional. Since my test over 20 years ago I have met with at least four other practitioners who employ LBM as a useful tool to assess the overall health & wellness of a patient. It really is quite annoying when some Doctors claim that ALL LBM practitioners are using their microscope as a DIAGNOSTIC device… this is a false, outdated assumption! Firstly, the subject will observe the practitioner who always wears surgical grade gloves, cleaning the two slides with surgical spirit (or similar). Then a small drop of the subjects blood is taken from a completely clean finger-tip and placed between two glass slides. Then the lens of the microscope is moved over the specimen of blood and you will see with your own eyes exactly what is in your blood plasma, close up and personal! You may know that human blood stays ‘active’ outside the body for up to a hour. Some sceptics claim the heat emitted from the light causes the blood to move around. This is not the case, no heat is produced from the light. During my first test I observed my killer T-cells slowly moving around – they targeted then consumed the spicules and other stuff that was in my blood, it is fascinating. Since then I have tests every 2 or 3 years and because I have made ongoing improvements to my general diet, my red blood cells have improved in quality dramatically and the plasma is virtually clear of ‘debris’ compared to my very first test over 20 years ago. For those doctors that remain sceptical, then they need to remember that most people have never seen their own blood highly magnified. Many GP’s do not want their patients to be too well informed – I say shame on them! Just because LBM is not taught in Medical School does not mean it is only used by “charlatans” – a word that has no legal, scientific or medical definition. I’m sure you will agree there are many ‘less than ethical’ conventional doctors practising medicine. I recommend all my clients to at least investigate this unique observational test and they usually agree it is a real ‘eye-opener’ to say the least. Anything that encourages the lay person to learn more about their own body should be encouraged and not criticised. What say you? I don’t know about Julian, but I do have plenty of experience with looking at live blood. let me assure you: your notions are very misguided. I am quite happy with Professor Ernst using my first name, and I am sure that he is comfortable with me calling him Edzard. The main qualities of surgical gloves is that they are sterile when they are first opened, and they form a protective barrier to prevent the spread of infection. They are not in any way free of particulate matter, and some of them are dusted with powders such as corn starch to make them easier to put on. Similarly, while cleaning a slide with alcohol will kill most microorganisms, it does not leave the slide clean, and particles from the alcohol or whatever is used to wipe the slide can readily be transferred. I suspect that the reason why fewer particles are showing up in you more recent LBM is that cleaner materials are being used than twenty years ago. I would be interested to know why you thought that you were looking at your killer T-cells – is that what you were told? While there are many types of T-cells, and indeed T-cells are one of the subsets of lymphocytes, all lymphocytes look identical under a microscope, and the only way of telling them apart is by using antibody-based stains that target molecules expressed on the cell membrane, which is not something that you can do with live cells. For that matter, lymphocytes are not phagocytic (that is, they don’t engulf particles, microbes or other cells), though there are other cells in the blood that are. I have not been specifically trained in dark field microscopy, though I remember being shown the organisms that cause amoebic dysentery in my pathology class as a student, using a similar technique. For that matter I would not know how to operate an MRI scanner, but I don’t think that disqualifies me from having an opinion as to its role in diagnosis and assessing the progress of disease. There is a lot of useful information that can be obtained from a blood sample, and many very sophisticated ways of analysing the blood to get that information, one of which is direct examination under a microscope. However, staining the blood first to highlight particular cellular components is much more informative. One of the most widespread haematology tests is a full blood count, which used to involve peering at blood films and counting the various types of cells seen, but is now done by a Coulter counter – a machine which uses the principles of flow cytometry to analyse and categorise cells one at a time according to how they scatter light and how they behave in an electric field. There is a lot of interest currently in cancer research in the significance of circulating tumour cells, and also in what is called “liquid biopsy”, which involves looking for tumour DNA in peripheral blood. I mention this because malignant cells in the blood are not visible under the microscope (with the obvious exception of leukaemia). Some years ago I was referred a woman in her thirties who had been diagnosed with breast cancer. She had a 4cm lump in one breast and the biopsy had confirmed that it was high grade, but it had not spread further. We advised chemotherapy and then surgery with the aim of curing her. However, she was reluctant to be treated with poisons, as she saw it, and took herself off to an alternative clinic. She came back a few months later, and told me that she had been shown her own blood with the cancer cells visible (this sounds like LBM to me). She was then treated with ozone which she explained had been bubbled through her blood, and the next sample showed that the cancer cells had gone. She went on to have further treatment with “vitamin B17”, a preparation known to contain cyanide. When I examined her, the tumour was much larger and had spread to the other breast and also lymph nodes on both sides; with this degree of progression her chance of a cure was now slim, but chemotherapy could still help to control the situation for a while. she declined, and I never saw her again. She had clearly been conned by a clinic which was happy to take her money for bogus tests and treatments, and as far as I know she paid for it with her life, which didn’t seem to bother them in the least. They are still in business, and the clinic somehow has just about managed to keep the right side of the law, though when I checked their Web site just now they were no longer treating cancer. It is cases like these, and many others that I have seen over the course of my career, that make me feel that I can’t sit back and say nothing when people are promoting false treatments and procedures. Coming back to LBM – it is not a complicated technique and does not require expensive equipment. If it were useful in any way haematology laboratories would be using it all the time. And coming back to the debris in your examination – if you really did have that degree of particulate matter in you blood what do you think the consequences would be? Imagine the effects of it clumping together in the small blood vessels in the kidneys, brain, spinal cord and other sensitive organs. Do you really think you would be well enough to research changes in diet, rather than lying unconscious in hospital? Hello Dr Julian, thank you for your comprehensive reply to my previous notes. I congratulate you for providing a sensible, reasoned and balanced opinion… unlike others on this forum who have cherry-picked specific words of mine, taken them out of context and ignored the remainder of what I had to say – just like some of our politicians! Firstly your point about surgical gloves. At my first LBM test I remember the practitioner/technician used what looked like rubber gloves. I assumed they were some kind of sterile protection to avoid contamination. He removed the gloves from a sealed packet I remember which was always repeated when I had tests with different practitioners in later years. Is this not the same procedure that surgeons use when operating on a patient? If not then your greater knowledge might enlighten me. I may have used incorrect descriptions for the large almost transparent ‘immune’ cells that were slowly moving around on the slide. The practitioner was NOT encouraging them to move! They were moving around through the plasma under their own power and I observed they were targeting tiny pieces of what was described as ‘spicules’ or ‘debris’. That may be the wrong description – but that is not the issue here. These large transparent cells were very different in appearance to my blood cells – even I could tell the difference as a lay person. They were enveloping the small ‘spicules’ and moving on to their next target as I watched. If either you or another doctor on this forum could explain what I saw, then it will be appreciated. In summary, using silly words like ‘scam’ and ‘bogus’ demeans the credibility of some commentators who should accept that if it had not been for that initial test over 20 years ago that triggered my curiosity (something many adults lose in later life unfortunately), then I would not have achieved the success I enjoy today in helping many others around the world with my knowledge of raw, fermented and sprouted, organic whole food nutrition. The successes received in the form of personal testimonials gives me great satisfaction and spiritual reward. I thank you again for your response. •	if a therapy does work, it does not belong to medicine. Therefore, I think, that so-called alternative medicine or SCAM is not a bad term to use. From your description, the cells were probably neutrophils, which are a type of white blood cell. They may well have been phagocytosing (engulfing) particles of starch from the gloves. A cursory search of the Web reveals a number of videos of neutrophils phagocytosing bacteria filmed by time-lapse dark-field microscopy. 20 years ago it was standard for surgical gloves to be made of latex and dusted with starch to make them easier to put on after scrubbing up. Nowadays concerns about allergies and the potentially irritant effect of starch on surgical wounds mean that surgical gloves are usually made of synthetic materials and are not dusted. I stand by my use of the word bogus to describe the treatment that my patient received, particularly as it was under the direction of a qualified doctor who should know better, but who has made a lot of money fulfilling the demand for treatments for which there is no evidence base or indeed plausible mechanism of action. I don’t have any details of the diets you are promoting, and so I can’t comment on that, other than to say that raw, whole, organic and fermented food in general is probably an improvement on what most of us eat (though I love fermented food – cheese, salami, wine, olives, prosciutto crudo…). Even if it was in effect a conjuring trick that triggered your interest in nutrition, that does not invalidate that interest and where it has led. Testimonials are nice, and used to look good at my annual appraisals, though the complaints were a more useful learning experience (once I learned to look past the feelings of outrage that they provoked). If I lost my curiosity I don’t know where I would be. Though I think it is important to apply the motto of the Royal Society “nullius in verbia”. Mike, why didn’t your doctor tell you to stop eating junk food and you listen? Why did you need to pay someone without a medical degree to tell you that? Everyone knows that fast food is bad for you. It’s very hard to give it up. You didn’t need a blood test to tell you that. Also, your an adult. Don’t call people names. It makes you look like an idiot. Those on this forum continue to miss the point of my experience and others I know regarding LBM. When someone sees their own ‘alive’ blood in high magnification and see their immune cells moving around in real time it can often have a profound and lasting emotional effect. Until then I only suspected my poor dietary choices might be causing a number of unpleasant digestive related symptoms. Some academics will dismiss human emotions as non-scientific. However, most humans have emotions that can be far more powerful than logic or ‘evidence’ from a clinical trial for example. If an LBM experience prompts a person to take more interest in their choice of foods – and as a consequence they choose to reduce their intake of processed fats (too much Omega-6 usually), simple carbohydrates and high refined sugar products then how can any of you criticise that? In summary LBM provides a harmless, close up view of the subjects own blood in real time. That experience over twenty years ago changed my attitude and encouraged me to take far more responsibility for my diet and lifestyle choices. I no longer have any symptoms previously suffered for many years and since then have not consulted a GP since taking responsibility for my own health. My life has been transformed for the better! Helen, in my last reply to you I tried to explain how science works. This is not my opinion, it is what has told us all we know about the universe since the Enlightenment. You say this is missing the point. If so, you imply that you know more than the great scientists I listed before. I ask again what does LBA actually show? I would like to see a study in which a group of people had their blood analysed, with the images scored and recorded. After they had changed their diet (or whatever change the practitioner recommended), the blood analysis would be repeated and scores and images compared. If there is no difference, or just random noise, then what can we say about LBA? A problem with such a study is statistical power. There is no plausible mechanism for LBA and no prior knowledge of what magnitude of changes to expect, so an enormous number of subjects would be required. But I would settle for a small pilot study to assess the feasibility. If some consistency in the scoring of images emerged then we might be onto something. You imply that it doesn’t matter what LBA shows as long as the patient benefits by changing their lifestyle. In that case it clearly is a theatrical trick and hence fraudulent. There are much cheaper ways to counsel patients. If that is what it took for you to change known bad habits, I can only describe you as feeble-minded. Carol, your ignorant assumptions are quite pathetic. You are completely blinkered and think that all humans are simply mechanical robots(?). You are attempting to describe LBM as a tool for diagnosis – NOT NECESSARILY! That is why I and others who have benefited from one or more sessions of LBM are enlightened and inspired to then seek out further information about how the human body woks and what it finds useful and essential for achieving optimum health and wellbeing in a HOLISTIC sense – a word you probably dismiss as being quackery. The first encounter with my own blood up close and personal was truly amazing and no Doctor advising me on my diet at that time would have made the same emotional impact and prompted me to make fundamental changes to my lifestyle. It’s no surprise that the UK is officially the fattest, unhealthiest Nation in Europe. Unfortunately many in our society suffer from a human affliction called Ignorance and Apathy for which there is no know ‘cure’ or ‘treatment’ and it costs the Taxpayer £billions each year in medical care … Hippocrates must be turning in his grave! Do you not appreciate that some humans find that emotional stimulation can and does produce incredible human achievement in all walks of life. It just so happened that seeing my own blood in detail for the first time inspired me to enhance my education. I now have clients around the world who thank me daily for inspiring them to ‘be curious’ about their own body and it’s complex needs – dietary, spiritually, physically and emotionally. If you and other on the forum fundamentally disagree with my opinions (Edzard claimed he has no opinions on anything which is weird), then you are extremely biased. I can’t help feeling your education has not yet been enhanced to the point of overcoming your own blinding ignorance of medicine and related matters. Your consistently arrogant, insulting comments do you no favours whatsoever: above all they consistently destroy any case you might have had in the first place. Today, Has has gone to the trouble to provide a detailed critique of some of the nonsense you’ve spewed on this blog. He is one of several people who’ve tried to reason fairly with you, but you respond every time with insults, where rational counter-argument and supporting evidence would have been the appropriate reply. You consistently present yourself as a bastion of nastiness. Stupid but oblivious of your limitations; incapable of reading and interpreting medical evidence even-handedly but never hesitating to present your interpretations of it without ever even feeling the need to cite your sources; blustering away shamelessly at anyone who tries to explain where you’re possibly missing the point. And now you just wrote: “If you and other on the forum fundamentally disagree with my opinions … then you are extremely biased.” What a classic in the annals of debate! Never mind ‘argument from authority’: you apparently see yourself as the unique source of all righteousness; judge and jury; infallible, flawless, impeccable, foolproof and perfect. I guess we should all bow our silly heads in abject respect of your mighty wisdom. The fact you have taken the trouble to isolate a few of my words shows your inability to debate anything sensibly – your intellect is non-existent. Yes I am aware that the UK is part of Europe… my SINCERE APOLOGIES for that unforgivable slip, however the UK as you may know is about to exit Europe. I would usually say: “the UK (which is my main focus) and MAINLAND Europe”. Quite pathetic you needed to correct that. You have not been able to defend your very biased view of LBM screening tests – which in my view can provide useful information, being just one piece of a complex jigsaw and not to be used to diagnose anything in isolation. You are welcome to visit me at one of our clinics to verify my qualifications, but I don’t expect to see you anytime soon. If you suspect I have a mental condition, then it’s surprising not one of the many hundreds of health professionals I’ve worked with over the last 20 odd years ever suggested I should see a specialist – and they often trust me with their patients. Goodbye and what a waste of time it has been communicating with you. THE UK IS NOT ‘ABOUT TO EXIT EUROPE’! at the very worst, we are leaving the EU, but they are not going to drag our island out into the sea so that is becomes non-European; or did I miss something? Oh dear – what are you talking about? Who said anything about dragging (physically?) our “ISLAND” out into the sea. Unwittingly you have tripped yourself up – The United Kingdom is in fact made up of a GROUP of islands (plural) and not Island singular, take a look at the map! You definitely have some personal issues in your life it seems. Your last retort confirms you are looking for meaningless, unimportant distractions that have nothing to do with the main issue. Move on, nothing more to say. in fact, you never had anything meaningful to say, it seems to me. @Make Grunts: Me thinks the lady doth protest too much. And thank you for supplying compelling scientific evidence i.e. “in my view can provide useful information”. My guess; your high-qualifications include chiroquackery and natroquackic “medicine”? These fake colleges teach ad hominem and obviation-of-evidence as part of the core curriculum. Let’s see what Dr Julian has to say – and by the way, you forgot to address him with his title of Dr. Perhaps you have some kind of inflated ego that needs addressing. As usual ‘Edzard’ you twisted the context of my message and ignored the issue: Have you or have you not been professionally trained to operate a Darkfield Microscope? If yes, where exactly did you receive your training and what hands on experience can you tell us about? Just focus if you can on this specific point instead of trying to be clever. If you have no experience, then as I said previously your comments about LBM are completely worthless. This is by no means the first time I’ve said this: if you think you’re good, you’re almost certainly comparing yourself with the wrong people. In the second comment you made on this thread you said “get educated in human physiology”. Your follow-up remarks indicate only that your comprehension of human physiology — in particular immunology — is not even at beginners’ level. For those of us who’ve spend decades operating microscopes, your silly questions to Edzard about his training in microscopy only indicate the low level of your own “expertise”. Where to begin? For a kick-off, you can’t tell killer T-cells apart from any other (T- or B-) lymphocytes under the microscope unless you use highly specific and very expensive fluorescent antibody stains (and a fluorescence microscope, not a plain darkfield condenser). This kind of stain was purely experimental 20 years ago, so you can’t possibly have seen ‘killer cells’ in a darkfield microscopic examination of live blood. Then there’s your claim to have seen killer cells ‘consuming’ what you call ‘contaminants’, ‘debris’ and ‘spicules’ (LOL for that one!). That’s not the way killer cells work: it’s polymorphs, monocytes and macrophages that engulf things. Killer cells spread themselves close to a target cell they recognize as abnormal (e.g. a tumor cell or a virus-infected cell) and secrete molecules that induce apoptosis in the target. And how did you know the ‘debris’ had “had passed through the intestinal wall”? That’s a hoot inducer! You claim that “my red blood cells have improved in quality dramatically”. Please enlighten us how you measure the ‘quality’ of a red blood cell. You come on this blog arrogantly calling its author an ‘idiot’, ‘retard’, ‘a very sad human being’, ‘your intellect is non-existent’, ‘not worthy of your credentials’ and claiming “I even have more qualifications than you”, without stating what these might be. You have even managed to imply Professor Ernst is a murderer. Please re-read the opening sentence of this comment and think about it carefully. To many well-qualified readers of this thread, you appear to be completely out of your depth. Ah. Mike. As Frank says. As so often on this blog the hopeful evangelistic Dunning-Kruger merchants stride forth proudly waving the banners of whichever quackery they choose to evangelise and then have their arse handed to them on a silver platter as someone who actually knows they are talking about rips their hapless argument to shreds. Normally it is Thomas Mohr who does this in an implacable and brutal manner. This time it is Frank’s turn to do so. You are up against an expert and have been bested. Retire from the argument, Mike. Consider perhaps where the errors in your thought processes might be and concede that, just.. just possibly you and your Live Blood Analyst might have been wrong. Hello Frank Odds – you probably regret stating this: “You have even managed to imply Professor Ernst is a murderer”. You really scraped the barrel with that assumption didn’t you. That silly comment only reflects on your need to distort what I actually said for your own reasons. As you well know, there are UK based doctors – past and present – who have for whatever reason murdered their patients; would you deny that fact? A certain Dr Shipman was convicted of mass murder only 19 years ago if you remember. However to suggest I implied the host of this forum could or would murder anyone is quite ridiculous – I suggest YOU re-read my words. You reference a ‘lady’ on youtube who made diagnostic claims – I agree that is how NOT to behave but there are many other bogus practitioners out there and not just LBM specialists. You seem to be obsessed with this specific discipline – why? Virtually every comment you made was an attempt to twist and distort my fairly generalised summarising. I am well aware of a ‘Harley Street’ based bogus (as it turned out) Doctor who used his limited knowledge of Live Blood Microscopy to grossly mislead his patients and it was widely reported. There are others just like him and I would agree they should be banned from interacting with the Public. However, you have tried desperately to take some of my words out of context – you would make a good spin-doctor I would say. Finally, I asked Prof Ernst a very reasonable question – has he any first hand experience or training in the use of Darkfield microscopes. He chose not to answer that question – either yes or no, which is rather strange don’t you think? A simple yes or know would have been OK. In summary, your hysterical attack on me was quite pathetic, move on, absolutely nothing to see here. I will answer your question, once you disclose your qualifications, as asked for before you asked your silly question. I learned dark field microscopy in second year of medical school. Among the exercises, we looked at drops of blood and we learned how to avoid being fooled by the artefacts that LBA-scam artists use to deceive their marks. I have followed this exchange with interest, and I am probably going to regret diving back in now, but here goes. Firstly Mike, what is LBA actually for? What does it tell you as a practitioner? Whatever it does tell you, is that reproducible? You say that you learned all sorts of things about your diet. What underlying science supported whatever interventions you decided to undertake? What tests were done to ensure that the abnormalities observed were not artifacts? I am genuinely interested in the published literature on LBA. Les, with respect you like others here are choosing to take my words out of context for your own reasons. Here is part of what you said: “You say that you learned all sorts of things about your diet”. Again like the others you insist that the initial test I had was diagnostic… wrong! It gave me a visual insight into my blood and what it contained first hand. I now know from many papers and studies that looking at blood under the microscope within a few minutes of it being drawn is very different to viewing that SAME blood days later in a remote lab. Even an idiot would understand that. The test triggered my curiosity, it did not specifically indicate what I should eat or drink each day – that would be impossible. However, it did encourage me to research into the world of whole food nutrition and healthy eating & exercise which I understand is not given any priority at Medical School – in my view it should. A GP or MD would then have a better understanding about the root causes of type 2 diabetes, hardening of the arteries and many other serious medical conditions. LBA does not if used responsibly diagnose any specific illness. You are missing the point. EDZARD – asking me for MY qualifications is avoiding the issue here. My qualifications are not in question because I do not practice LBA – you obviously haven’t understood my comments! I have been on the receiving end of LBA as the subject who observed fascinating images with their own eyes in real time. This visual information then prompted me to investigate the nutritional value of numerous foods which I and many others have since found to be extremely beneficial. NO diagnosis was offered or treatment suggested by the LBA practitioners I have met in the past. It was you – not me – that set the agenda for LBA, and you used a very immature headline: “Live blood analysis, another SCAM to avoid”. If you read your own headline perhaps you’ll appreciate you present yourself as just another ill informed, egotistical blog writer … Using words like ‘scam’ and ‘bogus’ have no accurate scientific, legal or medically recognised definition. You can quote all the articles you like that support your assertions – but as I said previously, if the practitioner is unethical in their behaviour, then any kind of medical related screening test or procedure can be misleading or even dangerous. You seem to ignore that fact – just look at the many cases where NHS and Private Practice doctors have been given nothing more than a ‘slap on the wrist’ for serious breaches of ethical and professional conduct towards their patients. I did understand your comments very well. they are so barmy that it is important to know the qualifications that you insisted on boasting about. either you have no qualifications to talk about and are basically talking out of your arse, or you have some, in which case it is you who must be barmy. YOU are the author and mediator for this blog – not me. It is not for me to prove my qualifications, it is for you to prove your assertion that LBA itself as a scam! You insist on saying LBA is used to diagnose something – you are completely wrong. It is how the practitioner decides to use a darkfield microscope and help the subject to interpret and understand the images – that is the issue you should focus on. Very sad that you deliberately avoid the specific points I keep making. Why use meaningless words like ‘scam’ and ‘bogus’. If you wish to achieve any credibility with your readers you should use more adult language. I have given you opportunities to describe your personal experience of LBA – you patently failed to confirm you have any first hand knowledge or training in the use of a darkfield microscope – so how can you dismiss it as “bogus”? You should be ashamed of your ignorance. Goodbye. it was YOU who criticised me for informing people about my qualifications and the boasted about yours. surely, in this case, you have to disclose them or shut up. there you had me in stiches! thank you for the comic relief. Of course @Make Grunts is a chiropractor…everyone knows that right? Chiroquackers are chin-deep in this vomitus….led by Scientology trained reprobates like David Singer. Of course MG won’t reveal his qualifications as he has none but in buffoonery. Or might he surprise us and reveal a Bachelors’ in English lit? I don’t need to tell you anything about my qualifications because I am not practising Live Blood Analysis or hosting this forum dummy. I am a guest contributor and as mentioned before I’m using an alias. That means you don’t know my true identity or anything else about me apart from my opinions stated on this blog. I don’t need to defend myself because I am not claiming that Live Blood Analysis itself is bogus or a scam. As I said before – only those persons using the microscope unethically deserve to be criticised. Your intolerance of Live Blood Microscopy is very juvenile if you have not been professionally trained on the correct use of the instrument and then conducted live tests on real people; only then would you have a right to criticise. Remember, many health care professionals with qualifications after their name have been convicted of serious crime and unethical behaviour. Your obsession with ‘qualifications’ says everything about you – an intolerant idiot (nothing personal – you were probably born that way). I too am not claiming that LBA is bogus or a scam. I have researched the evidence, found none, AND THIS MAKES IT BOGUS AND A SCAM! not soooooooooooo difficult to understand, is it? a similar logic applies to your failure to disclose your qualifaications AFTER BOASTING ABOUT THEM: we simply have to assume you are a charlatan without meanigful qualifications [and all your comments seem to confirm this hypothesis]. Oh how ignorant Edzard – I am shocked at a fellow professional refusing to acknowledge my take home message summarising the benefit I received from that first LBA encounter over 20 years ago. As usual, and it’s becoming VERY boring, you make absolutely no comment on the substance of my general opinions. As an analogy, I cannot prove with ‘first hand personal knowledge and hard evidence that the world is round – can you? You believe that LBA is a scam – well you are entitled to your opinion as we all are. You may not like it, but some of your fellow highly qualified medical Doctors prescribe placebo pills to their patients and achieve clinically measurable improvements in a significant number of those patients that suffered from a variety of diagnosed conditions. I have never taken – to my knowledge – a placebo pill, but I don’t dismiss it as as a scam! That would be very stupid of me. You are really scraping the barrel, highlighting in BLOCK CAPITALS not disclosing of my credentials. I have already explained to you (but you seem to have ignored it) that you are welcome to attend one of my clinics and I will show you written evidence of my qualifications – but you won’t take me up on that offer. You are obsessed with cherry picking for your own reasons and therefore ignoring the bigger picture. Charlatan you say? You don’t know who I am, who I work with in the medical field and who my clients are. Your assumptions are laughable. I’m sure Dr Julian raised an eyebrow at your retorts. thank you but I don’t believe or have an opinion. LBA is not backed by sound evidence and thus it objectively is bogus. your experience might be of interest to some but it is an (unreliable) anecdote and not evidence. “obsessed with cherry-picking”??? that’s a good one! there are no cherries to pick; there is no evidence for LBA. and btw, it would help, if you did abstain from insults. Edzard, you just requested I refrain from using insults, yet you said these words: “We simply have to assume you are a charlatan”. Well if that isn’t an insult then I don’t know what is! A case of hypocrisy me thinks. Please move on, you seem to be deliberately looking to criticise me for no useful purpose. In any event, it is very unlikely that anyone reading these exchanges will take them seriously. If I say: “We simply have to assume you are a charlatan”, it is a fact, because you have given reason for this assumption. Ahhhhh, I have at last figured you out Edzard. Because of your inflated ego you probably insist on having the last word in any debate or conversation. You will no doubt respond to this final message from me with pointless rubbish. However I have decided to move on as this is all getting very tedious. Wouldn’t be surprised if you now have a smug grin on your face – enjoy! and may thanks for this further insult. Mike, I would be happy to attend your clinic and observe your methods, but you will need to tell me where you operate. I do not have any type of medical degree, I just sit in reception of the ones who does, so I get to see and speak with their patients. I have worked with both sides. It is my experience that at the wellness clinic I would hear more often than not a patient saying ” Oh my God I feel like a new person, for years I suffered” As for me personally, I have just started seeing a Naturopath in hope that she can help me with issues that many, and I mean many Physicians and Specialist have not been able to, I would say not even wanted to because my issues can’t easily be explained. I have suffered since my teens and I am now 60. She doesn’t charge me anything. As a matter of fact she gives many a break, because that is how nice she is. I am a bit angry at these people I now work with are being called scammers, as they are wonderful people and completely believe in their work. Some because that was the only thing that helped them. So please do not call them all scammers. I am sure that some naturopaths believe what they practise. I am also sure that some patients feel better after treatment. I am not sure that the treatment was the reason. This is is why we do clinical trials, to minimise bias and get a better idea of what works. Clinical trials have not shown that naturopathy works. Anecdotes are not evidence. Les, your attitude is quite juvenile. Errol Denton is VERY old news, and his case only attracted media attention because he had a Harley Street address which anyone can obtain without any qualifications in anything. I can quote many qualified GP’s and MD’s that have hit the headlines for the wrong reasons… so what does that prove??? Medical Doctors (GP’s and others) in the UK and elsewhere have (for example) shown that placebo pills can cause a group of subjects that were suffering from a variety of diagnosed ailments to make significant improvements. We know for example that drug companies will repeat clinical trials until they get the result they want – which is a lucrative Patent and licence to print money. When administering placebo pills, even the colour of the capsule has been shown to have a positive – or not – effect in clinical trials! And even when some subjects were told they were taking placebo, clinically measurable improvements were still recorded – equal to those obtained from clinical trials. I do not promote or recommend placebo, but conventional medicine often lacks humility and an acceptance that ‘alternative’ treatments can often be highly beneficial. Doctors today might have forgotten the wise words of Hippocrates; “first, do no harm”. He was sentenced by Blackfriars Crown Court on 21st April 2018. How is that very old news? By definition alternative treatments have not been shown to be beneficial, otherwise they would be incorporated into conventional medicine. That is all very well, and appropriate 2,000 years ago when no doctors were able to do much good. We now know that any intervention that can have a beneficial effect can also be harmful, and it is a matter of balancing benefit and risk. 1. What is the claim? In this case, what benefit is claimed for live blood analysis? “Tells me all sorts of things….” is not specific. Just choose one claim and tell us what it is. 2. What is the evidence that supports the claim? This must conform to the standards that have been established by science over centuries, ie rigorous controlled trials, peer reviewed and published. 3. Is the evidence reproducible? Or is it only visible by the practitioner? Please provide one example of this, with evidence. I think you should read Bad Pharma by Ben Goldacre (who has co-authored other books with Professor Ernst). Drug companies are well known for failing to publish negative results to the extent that many researchers now feel that publication of results, whatever they show, should be a necessary part of obtaining ethical approval for a trial. In my experience they are also very selective in the way that they present their (published) data to healthcare professionals, many of whom do not take the trouble to read the research paper in full, and may not have the training in statistics required to evaluate the research critically. minor correction: Ben and I published several articles but never any books together. I have read Bad Pharma, and know Ben fairly well. I spent 40 years in the pharma industry and saw the good, the bad and the ugly. On several occasions I attracted opprobrium by criticising bad ethics and science. I even blew the whistle on one company to the MHRA (who did nothing). But the latest evidence is that pharma is much better than academia at publishing results, even though there are ways to go. I always used to say that drug development went fine until the data got into the hands of the marketing department, who were quite happy to distort and obfuscate. My comment was in response to a specific claim, that “…drug companies will repeat clinical trials until they get the result they want…”. There is no regulatory mechanism that would allow this. Apart from that, trials are so cripplingly expensive that doing the same thing over and over again is not viable. What they can do of course is to design the trial to show the study drug in the best light. An example is choosing assessment points that suit your own drug better than the comparator. Regulators don’t seem to be wise to this. But all this is a distraction from the core debate, and is just a tu quoque fallacy. Goodbye everyone, I’m sure you will all say good riddance. A blog that characterizes heart disease, Alzheimer’s and cancer as ‘metabolic’ diseases (see the first sentence in the ‘About’ page of the blog) is not a source of “objective, balanced opinion” to anyone with even superficial comprehension of medicine and ability to think critically. Les, you are wearing blinkers. The six or more Live Blood technicians I have met in the last 20 years have never once made verbal or written CLAIMS or made any kind of medical diagnosis. You are obsessed with ‘science’, ‘bogus claims’ ‘clinical trials’ and ‘evidence’. There are many events in our world that science cannot yet explain. Evidence is not necessarily PROOF of anything. Why is the medical profession so against allowing the lay person to educate and inform themselves. 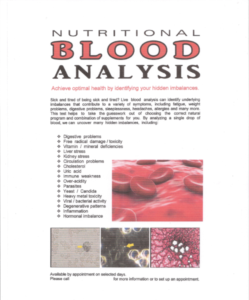 Looking at their own blood in great detail often has a profound and lasting emotional effect that prompted me to learn more about nutrition and a more balanced lifestyle. If you discourage lay people from at least making up their own mind then you are a pompous fool (nothing personal). but the validity of a diagnostic test is not one of them! Why is the medical profession so against allowing the lay person to educate and inform themselves. In my – very current and personal – experience, that is not even remotely true. On the contrary, the profession does everything it can to make it as possible as possible for the lay person to educate herself/himself/itself to the point of providing educators and educational programmes. There are many events in our world that science cannot yet explain. That is so. That is precisely why we still have science. The day everything is explained, science will die and we will stick with knowledge. That is a time we are very unlikely to witness before the heat death of the universe. Evidence is not necessarily PROOF of anything. Indeed. In science, there is no such thing as proof, only cases of more or less, and more or less solid, evidence. Non-science just provides (far) less credible evidence. Live blood analysis has so far been unable to provide credible evidence. That does not necessarily mean it never will. However, until then, it will not be taken seriously, and rightly so. I was recently reminded of this with the case of flexible/foldable/bendable displays. They were announced in the 70s of last century. We are still waiting. That’s long time on a human scale. Then why are you, Mike and other people having the procedure done if they don’t give you a medical diagnosis? It’s a ‘medical diagnosis’ on your blood. They tell you about your blood with a verbal and written report. What foods to eat and stay away from. How can you both not see that? Helen, I suggest you go away and learn some philosophy and science. All that we know about the universe we have learned via science. I certainly don’t discourage anyone from making their own decisions, but they need to understand what evidence is. Anyone can do that. I do take your insult personally. If you think that anyone who relies on science, evidence, and fair tests is a pompous fool, then you include the likes of Einstein, Faraday, Hawking, Feynmann, Crick, and Watson in that category. I do find it insulting to be told that my 40 year career in science, and fellowships of two professional bodies, have blinded me to ideas. I’ll look at any idea, and ask for the evidence. Yes I am obsessed with science, because science works and anti-science harms people. You need to understand how evidence works. There is never 100% certainty. As science progresses, uncertainty is reduced. This often unsettles lay people because they want certainty. But as scientific methods improve the evidence can change. A good example is giving steroids for head injuries.This was done for decades because there was a plausible mechanism, but there were no controlled trials. When a trial was done it was found that steroids kill people with head injuries, so medical practice changed. It would not have changed if someone had said “I looked at a live blood sample and saw all sorts of interesting things”. If your technicians never made any claims or recommended anything, then what on earth was it all for? Money for old rope I reckon. One more example of this, appropriate for this blog, is acupuncture. When I went to med school in the late 70s, I was still taught about the fact that there were plausible explanations for how acupuncture could work. I don’t think those are being taught any longer, for the very simple reason that acupuncture has not been shown to work in the first place. So, plausible or not, the explanations have no value. Science has prevailed above non-science. In the end, science may not always win, but it certainly never loses. Helen, thanks for the link to another health forum, likely one of the better things I’ll take from this MB. Nothing here but a bunch of over educated fools in blinders, and ear plugs in their ears. They wear sanctimonious white robes getting together for a cyber-circle-jerk. I’ve wasted enough time here, same as you concluded. PS – notice how they won’t give ear to a thing you profess, but every time as you and Mike witnessed, they want to know specifically who and where these health care healing is taking place. No doubt they are astute at whistleblowing and retaliation. Their aim is nothing more than to discredit alternative medicine and those that subscribe to it. Must be nice to have the FDA to be the moat around your castle, a corrupt FDA at that.